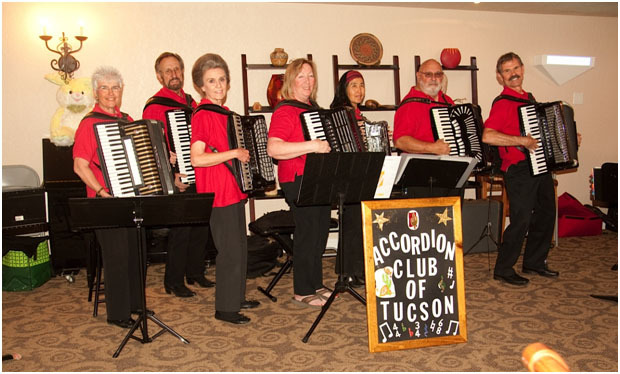 The Accordion Club of Tucson was established in 1998, with a mission to promote accordion music and to raise awareness of the instrument to our community. We strive to play musically and to make every member a better musician through successful playing, encouragement and mentoring. We accept beginners, virtuosos and everyone in between. ACT members perform year-round for public and private events in and around Tucson, Green Valley and Southern Arizona. Please contact us if you are interested in having the group perform at your upcoming event. ACT currently includes over 30 members, some of whom perform regularly at public and private events, and some who just enjoy improving their playing at our monthly meetings. 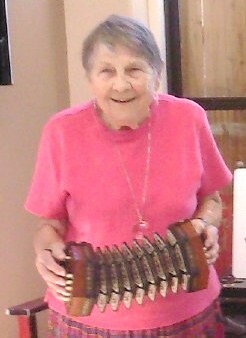 In 2005 we received the prestigious Frosini Award for outstanding contribution to the promotion of the accordion in our community. See more information on this award at Frosini Award. Please visit our Membership page to learn how you can join us and become a member.